While most states require virtually all employers to carry workers compensation insurance, it’s handled a bit differently in Texas. The Texas workers´ compensation system is the method by which covered workers are compensated for work-related injuries or illnesses. An employer´s insurance company or certified self-insurance plan pays scheduled benefits for work-related injuries, even if the injured worker´s negligence contributed to the accident. Although Texas law does not require workers´ compensation in most cases, your customers may require you to carry it. Private employers who contract with the government are required to provide workers’ compensation coverage for each employee working on the public project. Some clients may also require their contractors to have workers’ compensation insurance. Even though state law may not mandate your company to carry this form of insurance, it can offer protections for both your employees and your business. Employers with workers’ compensation have some important legal protections, including immunity from most lawsuits by injured employees. If an employer has workers’ compensation insurance, a lawsuit may only go to court after it’s been through Texas Department of Insurance’s administrative dispute process. The court will consider TDI’s recommendations, and only issues in dispute may be used as evidence. Previously resolved issues can’t be reintroduced. If you are sued as a result of a worker’s injury, your insurance company pays your attorneys’ fees and other defense costs. Employers without workers’ compensation coverage might have to pay punitive damages if they lose a lawsuit. They also lose certain common-law defenses, such as arguing that the injured employee’s negligence caused the injury; the negligence of fellow employees caused the injury; the injured employee knew about the danger and voluntarily accepted it. Not having workers compensation insurance leaves your business, its revenues and assets, at risk to these liabilities. Whether your business is required to carry workers comp, or you are interested in protecting your company from those severe liabilities, it’s important to shop around as rates and coverage options can significantly vary. 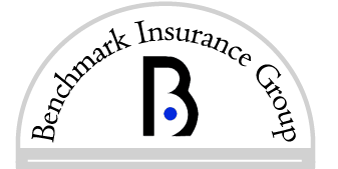 Knowledgeable, independent agents at Benchmark Insurance are always available to answer any questions you may have and assist you in finding a number of options from a variety of providers. Contact us to find out how you can obtain a workers compensation insurance policy with the best protections at the most affordable rates.